Lower Your Vehicle Payments Now! We’ve been Toyota’s go-to source for payment reductions in Kelowna year after year. We work with over 19 local and international lending institutions to get you the payment that works for you. We’re happy to work with you current lender or look into trade options for any make or model for new and used vehicles, even if you still owe money on your current vehicle. Not sure if you’re ready? We get it. Decisions are hard, which is why we will provide you with a no purchase necessary and non-obligatory payment quote so you can make up your mind on your time. Who Is Your Current Bank? 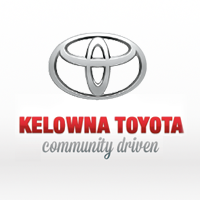 By submitting this form you agree to be contacted by a Kelowna Toyota staff member.